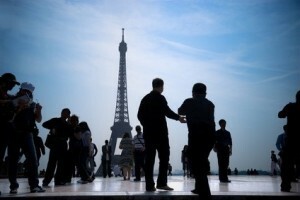 Most tourists book their trips online with suggestions and information available on the internet, blogs and websites such as ParisByM.com. There are however situations where it would better to contact a trip planner or a travel agent. Here is our list of the 5 most common situations where a Paris trip planner may help. The main reason people contact a trip planner for arranging a trip to Paris is because they want to get local knowledge for arranging their trip: where to stay in Paris, what to do, what are the trendy spots, the main attractions that cannot be missed? A guide book will tell you all this, however what about new restaurants that opened up just a few months ago, or how to get the best ticket deals for climbing the Eiffel Tower, where to stay if you love old buildings, or if you have a more limited budget for your trip? A trip planner will help you solve all these questions. A local Paris trip planner will also guide you in your choices. Versailles for instance is a big attraction close to Paris. But if you have only 2 days and you are coming in Winter, it would be better stay within the city. There is already so much to be visited there. Another situation where a trip planner will be of great help is for those who do not have much time to dedicate to planning a trip, yet want a perfectly planned and arranged program in Paris. It takes a lot of time to organize and process the booking of hotels, tickets, and meals. Not only does planning a trip take a significant amount of time, but to get the best choices you need local expertise. A full program offered to you by a trip planner can include: a selection of hotels suited to you and a full itinerary with all the tickets booked in advance. In this way you save time before departing by letting a trip planner organize all the details of travel and also when you arrive, because you won’t have to queue. A local trip planner will help you decide on your program based on your tastes, choices, budget, and time. For groups of more than 10 people, you need to plan your trip in advance. Whether you come with relatives, your colleagues, or for a corporate event, all these situations need advance bookings. Finding a hotel for more than 10 may be tricky, especially if you are looking for attractive prices. Besides the accommodation, you had better plan all activities and your itinerary in advance, to avoid loosing time while in Paris. Monuments visits are not everything, we also recommend booking the restaurants in advance if you are more than 10 people, otherwise you may end up eating at the hotel most of the time. The food may be good, but you will miss out on a Parisian experience. A Paris trip planner will be of great assistance in choosing your hotel, negotiating the prices, arranging an itinerary and booking your restaurants in advance. You will probably end up saving money as well since group prices can easily be negotiated, as long as they are agreed on in advance. Organizing a corporate event in Paris will definitely give motivation and rewards to your employees and add prestige to your company. This is true as long as your event is precisely prepared and organized. A group trip for more than 10 people must be planned in advance. Especially if this is a business trip, as people tend to complain more when a corporate events has little flaws. A Paris trip planner will arrange the hotel, to your company’s budget, design a program combining Paris visits & team building activities and agree with you in advance on a 100% tailor-made offer. Besides all those cases, as soon as you have specific requests, such as transport to/from other cities, a precise idea of what kind of hotel you want or any specific requests you should definitely contact a Paris trip planner to ask for suggestions, advice and price quote. 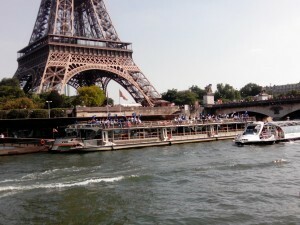 Paris boat tours are a great way to see the sites of the city. 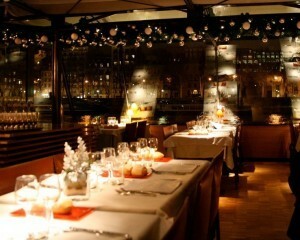 You can see such landmarks as the Eiffel Tower, Notre Dame, and Pont Alexandre III all while never leaving your seat. There are four main types of Paris boat tours that each create a unique experience viewing the city. 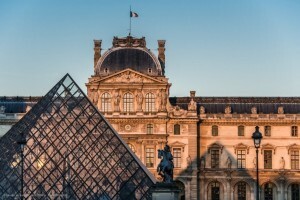 This cruise is an enjoyable way to rapidly see many of the most famous monuments and buildings in Paris. Paris boat tours provide a different way to view the monuments and can also be a great way for those who have difficulties walking to visit Paris. Taking only an hour, the Discovery Cruise, takes you down the Seine from the Eiffel Tower to Ile-Saint-Louis. There are various different companies who provide these tours, but very little difference in the paths taken. If you want to make your cruise a little more enjoyable certain companies offer the option to add a snack or a flute of champagne. This cruise is ideal for those who want to budget their time and see it all. The Lunch Cruise allows you to take a 1.5 to 2 hours pause to relax for lunch while continuing to visit Paris. The various companies all offer an excellent lunch, however cost does vary depending on the meal, if you choose to add wine, etc. The Lunch Cruise combines the two of best things about Paris, sightseeing and good food, thus creating memorable experience. This cruise is one of the top among the Paris boat tours. It is perfect for those looking for a romantic date night. Generally these cruises take 2 hours. However there is a meal beginning at 6:30 that takes only 1 hour and 15 minutes. This option is great for those who do not have much time or have children. 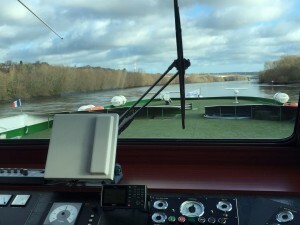 Every Paris boat tour company offers a superb meal, however similar to the lunch cruise, the cost will vary depending on where your table is placed in the boat (i.e. in the center or by the windows) and what meal you choose. To continue this enjoyable evening it is not a bad idea to view a show at a cabaret such as Lido or Crazy Horse. An Multi-day and location cruises are excellent option for those who are staying for a week or more in Paris or perhaps those that have already visited Paris and wish to see the old favorites, but also explore more widely. These cruises are relaxing and enjoyable experiences that take you through Paris, but also allow you to visit the country and different cities in Normandy. When planning your multi-day cruise make sure to book your tickets well in advance, because not every cruise trajectory is available year round.